MSR's most livable tent for solo backpackers and campers, the MSR Elixir 1 tent combines a fast and easy setup with generous accommodations. The versatile tent features a large vestibule for storing gear and one easy-entry door. The tent body balances breathable mesh with solid canopy fabric to deliver ventilation, warmth and privacy. MSR &apos;s most livable tent for solo backpackers and campers, the MSR Elixir 1 tent combines a fast and easy setup with generous accommodations. The versatile tent features a large vestibule for storing gear and one easy-entry door. 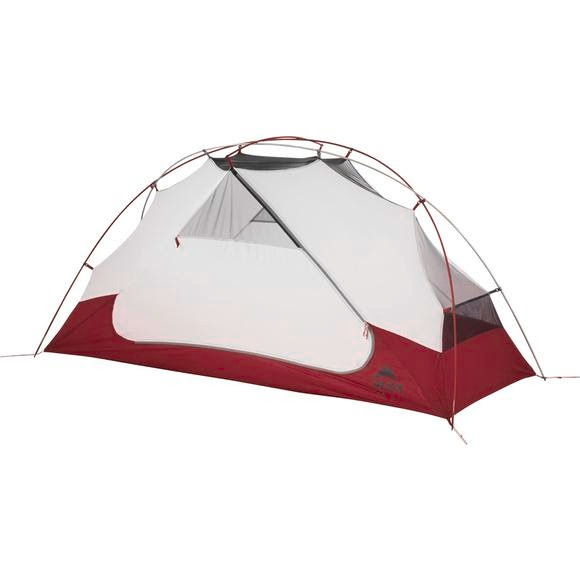 The tent body balances breathable mesh with solid canopy fabric to deliver ventilation, warmth and privacy. Inside, a built-in gear loft keeps smaller items organized and within reach, while the glow-in-the-dark zipper pull is easy to find at night. Whether you&apos;re frontcountry camping or trekking deeper into the wilderness, the Elixir 1 tent was built for livability at the highest level. Footprint included!